President Trump has no shortage of faults, but it's probably safe to say that he does not cause hurricanes. When people do (or say) uncharacteristically irrational things, it's usually one or more hard astrological transits against their natal and/or progressed Pallas (representing intelligence). 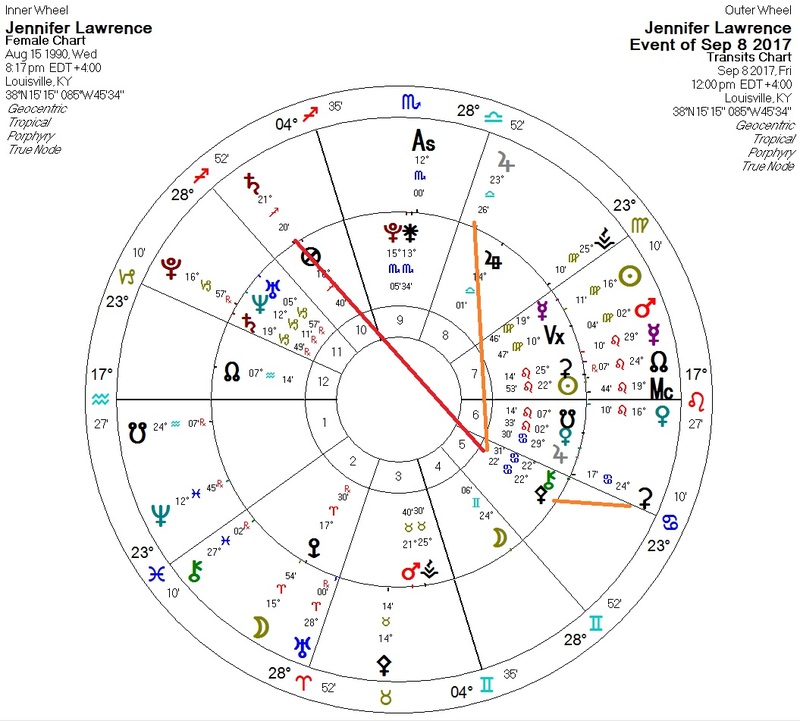 So here are Jennifer Lawrence's transits for the day (or the day after, I don't know) the actress, who is normally known for being "down to earth", publicly displayed signs of changed mental function. Jupiter is square her Pallas (normally a transit associated with ethical scandal), Saturn is quincunx her Pallas, and Ceres is conjunct her Pallas (something we see in power outages when cities "go dumb"). I'm probably still going to see that new movie of hers.